July ushers in a summer full of new hits from your Eurovision faves. This month we take a look at new tracks from Latvia’s Aminata, everyone’s favourite saxy group Sunstroke Project, Polish butter churner/singer CLEO and Eurovision 2018 alums Lea Sirk (Slovenia), AWS (Hungary) and Sevak Khanagyan (Armenia). This entry was posted in New Music Round Up, News and tagged 2018, Alesha Dixon, Always, Amena, Aminata, Arash, Armenia, AWS, Aysel and Arash, Azerbaijan, Back to Being Me, Broono, Cerca Del Mar, Cleo, Donotan, Dooset Daram, ESC, Eurovision, Eurovision NI, Eurovision Song Contest, EVA, Heartbeat, Helena, Hey Mamma, Hol Voltal, Hungary, Hvala Ne!, I Want You, July 2018, Latvia, Lea Sirk, Linkin PArk, Love Injected, Mambo, Messajah, Moldova, My Slowianie, New Music, New Music Round Up, Poland, Portugal, Prime Time, Qami, Red Moon, Salvador Sobral Mano a Mano, Sevak Khanagyan, Slavic Beauty, Slovenia, Sun Gets Down, Sunstroke Project, Viszlat Nyar, Zero Love. Bookmark the permalink. Latvia opts for Justs’ ‘Heartbeat’! This entry was posted in News and tagged 2016, Aminata, Being A Friend, Catalepsia, Choices, Crow Mother, Damnation, Demons, DVINES, Edvards Grieze, Elektro Folk, ESC, Eurovision, Eurovision 2016, Eurovision Song Contest, Grīslis, Heartbeat, I Can, I Wanna, Iluta Alsberga, Ivo Grīsniņš, Justs, Latvia, Latvijas Televizija, Look In The Mirror, Love Injected, LTV, Madara Grēgere, Marie N, Markus Riva, Marta Grigale, Marta Ritova, Miks Dukurs, Miracle Drums, My Inspiration, MyRadiantU, Mārtiņš Ruskis, New Day, Not From This World, On Hold, Paradise, Paula Dukure, Rūta Dūduma, Sabīne Berezina, Samanta Tīna, Set It On Fire, Still Holding Stars, Supernova, The Love Is Forever, We Are The Light, We Live For Love, We Will Be Stars, You And I. Bookmark the permalink. Supernova: Final 4 Acts for Latvia! Latvia’s Supernova Show 2 Results! This entry was posted in Eurovision Guide 2016, News and tagged 2016, Aminata, Being A Friend, Catalepsia, Choices, Crow Mother, Damnation, Demons, DVINES, Edvards Grieze, Elektro Folk, ESC, Eurovision, Eurovision 2016, Eurovision Song Contest, Grīslis, Heartbeat, I Can, I Wanna, Iluta Alsberga, Ivo Grīsniņš, Justs, Latvia, Latvijas Televizija, Look In The Mirror, Love Injected, LTV, Madara Grēgere, Marie N, Markus Riva, Marta Grigale, Marta Ritova, Miks Dukurs, Miracle Drums, My Inspiration, MyRadiantU, Mārtiņš Ruskis, New Day, Not From This World, On Hold, Paradise, Paula Dukure, Rūta Dūduma, Sabīne Berezina, Samanta Tīna, Set It On Fire, Still Holding Stars, Supernova, The Love Is Forever, We Are The Light, We Live For Love, We Will Be Stars, You And I. Bookmark the permalink. 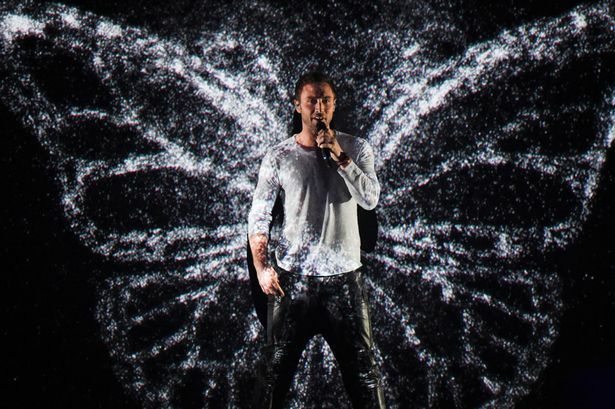 Latvia’s Supernova launched tonight with ten acts performing in the first of its live shows. Only four of the competing entries made it through to the semi final which will take place in a fortnight’s time. Read on to find out who progressed and who were eliminated.